17 years ago when Edoc Service was started, people looked at me strange with the description of a company made up solely with at home or remote workers. Now ‘telecommuting’ is the latest trend. It makes absolute sense. Workers today seek life balance, not just life at work! Most companies are starting to experiment with this concept. Now, we started as a virtual structure and the culture was built around it. Moving from ‘brick-and-mortar’ is more complex than just sending people home to work. This requires a new mindset and best practices in human capital of today and for the future. It starts with culture. Taking down company walls opens enormous opportunities (I might also add essential) now and for future growth. Here’s the rub: The internal walls have to come down first! Going virtual does not work well if the company moves too quickly and starts remoting workers by sending them home to work without evaluating and revamping the company values beforehand. Going virtual begins by adopting the right principles including many facets of best business practices for today and getting past status quo. Do you ever wonder how some companies are genuinely recognized as “best places to work”? We’ll dissect this over the next few weeks. Edoc has identified five pillars that we will review in this series. Credible growing companies are driven by a purpose for existence bigger than themselves. This purpose inspires the company team from top to bottom to “hit the ground running” doing their very best every day. The purpose-driven company need not waste energy attempting to motivate employees through picnics, parties, beer fests or the “Disneyland” style work space. Social events come naturally because team members respect one another and don’t have to be forced to do so in the name of company morale. Company purpose and principles are communicated, embraced and second nature to everyone in the company, no exceptions! (If you would like to see ours, simply scroll to the bottom of the webpage and click the links.) Our purpose and principles are posted on the wall of the company home (yes a real live-in home) headquarters. 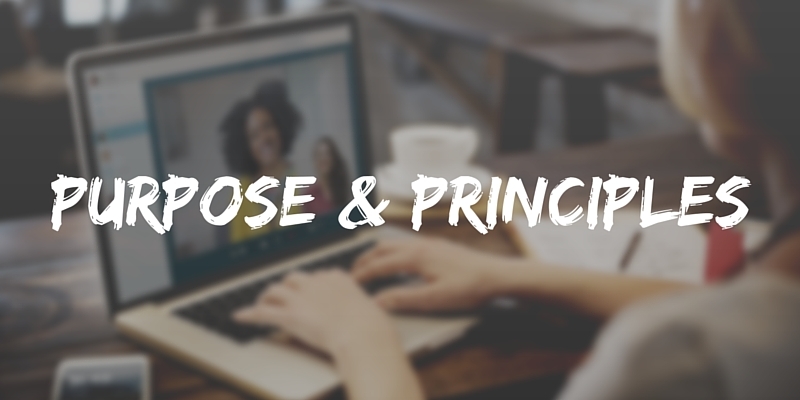 Recognizing this purpose and defining the company principles is really the first step in establishing a virtual culture. You see, once the virtual culture is in place it does not matter whether the team works onsite, or elsewhere in the world, the work is done with excellence by a highly engaged staff. Should some staff not genuinely accept the company purpose and principles, regardless of their perceived value to the company, perhaps another seat on another bus is in order. As the rest of the staff demonstrates sincere acceptance the exit can happen naturally with naysayers finding themselves adrift and eventually moved out via team “tribal councils”. The purpose-driven company is an ethical company as all staff aspires to a higher devotion. To those who say, “Ethics cannot be defined”, I say check out the Ethical Business Guide we subscribe to. You can find the link on our purpose page. Ethical companies favor associating with other ethical companies and for sure prefer doing business with those as well. Obtain a few copies of the pocket guide and attach your business card in the slot to the back cover. Now, looking them in the eye, hand the guides to staff reports, customers and prospects. This communicates a vital message “I focus on being ethical and so does our company”. Not every person in a business leadership role can do this. I am sure you know several in both camps. If you currently find yourself in a company that cannot hold up to ethical scrutiny, see the “bus change” comment above and make the move yourself. No amount of salary is worth toiling in the mud! Now finally, when the purpose and principles become the company bedrock, use it for hiring. Hire for culture fit first and skills second! Too many (perhaps most) companies do this backward. Trust me; you will have a much better quality team that is fully engaged if those coming on board are excited about the culture. Look for part III on the Virtual Culture Company. I promise not to wait two more years. 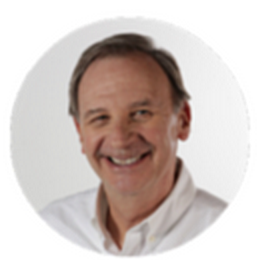 Jim Mullaney is President and CEO of Edoc Service, Inc. a “Fast 55” virtual company based in Cincinnati, Ohio.